Junior Carousel Gumball Machine Gift Set --Gift set includes gumballs!Our authentic Carousel Gumball Machines and Gift Sets make the perfect holiday gift. 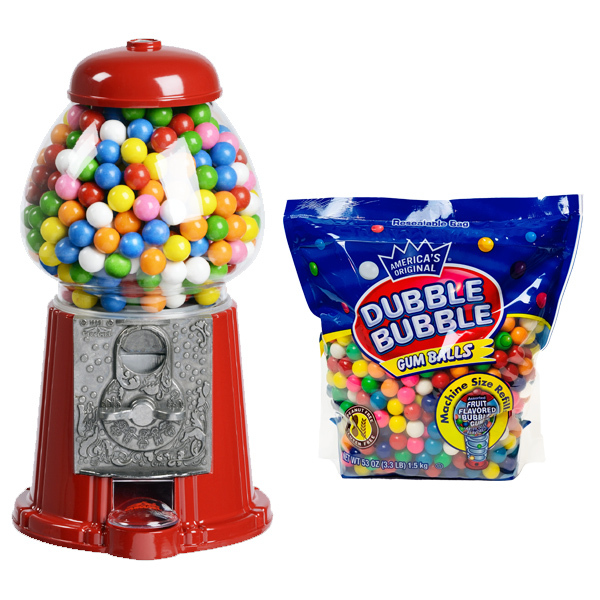 Our 11.5"(29.21 cm) Gumball Bank has most of the features of our Large Gumball Bank, including the same adjustable dispensing mechanism and anti-spill cover. 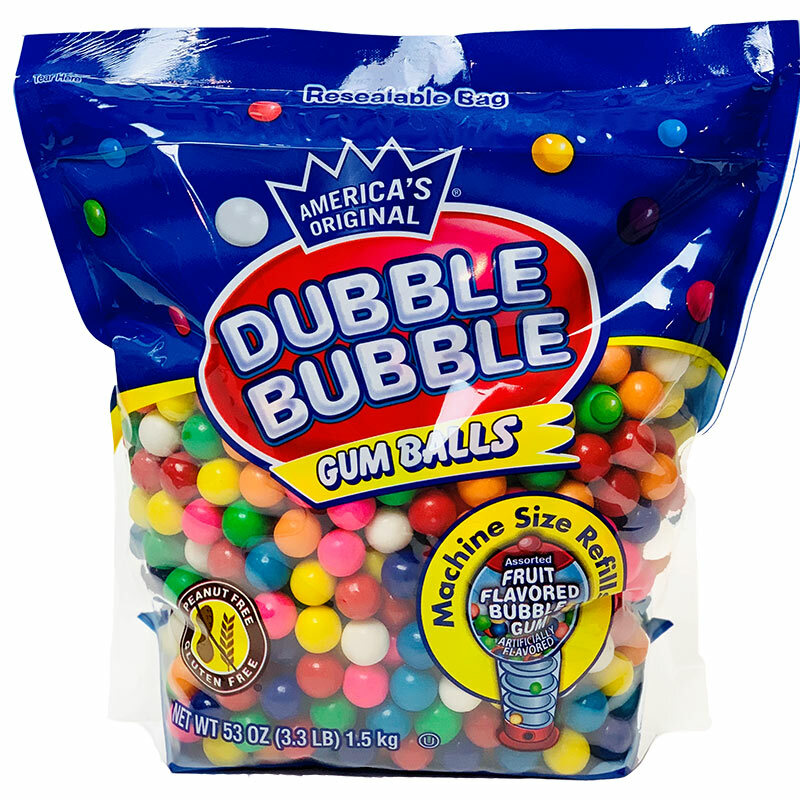 Gift set includes 53oz (3.3 lbs) of Dubble Bubble Gumballs. That means extra gumballs!